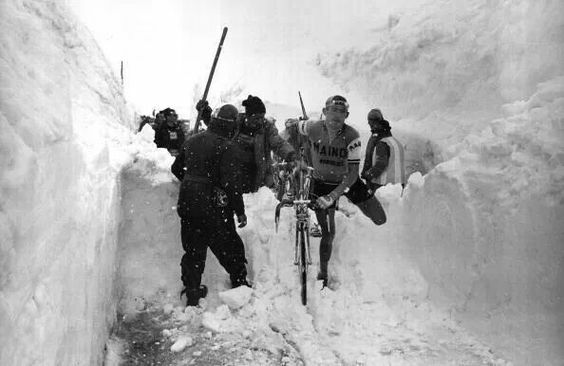 Although I live in Rancho Santa Fe, CA, where the sun is constantly shining, I wanted to celebrate the upcoming Christmas week by discussing snow cycling. Recently, I took a short weekend trip to snowy Colorado where I tried my wheels on the ice. Given that most of my cycling is done on sun-dried pavement, the feeling of being on my bike on snow was a bit unnerving at first. However, because I do have a decent amount of experience riding in winter weather, my instincts to ride in a chilly climate came back to me quickly. Today, I’d like to share several tips regarding cycling in the snow for those of you who want to keep on riding outdoors as inclement weather increases. First and foremost, I want to warn those of you who are unfamiliar with snow cycling to be aware of black ice. 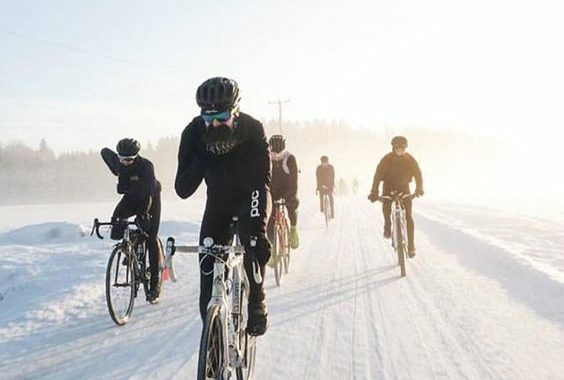 Black ice is perhaps one of the most dangerous parts of cycling in freezing weather because of how difficult it is to spot. Correctly defined, black ice is a thin layer of ice that covers the road that takes on the color of the underlying pavement and is thus hard to see. It is thin and gives the impression of having traction. Many cyclists therefore feel it is safe to ride on. Many cyclists get into trouble when they believe that the road is safe and they take a turn or a corner on black ice. Typically, this occurs when the bicyclist turns and leans too heavily to one side instead of staying upright. If you’re cycling in the snow and have the potential of facing black ice, try and stay as upright as possible. This will allow the contact patch of your tire to be in touch with the ice as much as possible to give you traction to remain upright. If you do not maintain this traction, there’s a great possibility that you will slip and fall. Another scenario when many cyclists get into trouble is when they attempt to brake too quickly or forcefully when riding on snow or ice. 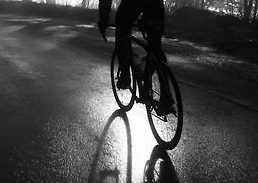 If a cyclist brakes on black ice, for example, they will produce a bit of water as a result of braking. Water under the wheels on top of ice is a very dangerous combination. Ideally, when braking is done in these frigid conditions, a cyclist has to brake with the back brake. Because the front brake of a bicycle supplies more braking power than the back, there is more force applied to the front of the bike making a tumble more likely. Another great opportunity to take advantage of when needing to brake is seeing if it’s possible to slow down near the side of the road where rocks and debris are gathered. This will provide the tires of your bike a great deal more traction preventing falls. Typically, this is where I stay when riding in snowy or icy conditions. Finally, my last notes regarding riding in snow or ice have to do with getting studs on your tires. I highly, highly recommend this if you have a likelihood of riding on black ice. As I mentioned previously, the traction is what we’re concerned with here. If you have studs in your tires, the amount of traction you get is far greater than on bicycle tires with no studs. At minimum, get studs on your front tire if riding in very icy conditions. For deeper snow, studded tires just won’t make a difference. In a previous Barton Haynes post, I wrote all about snow riding in “Fat Tire Bikes” giving you all of the information you need to know about riding in snowy weather. Fat tire bikes are a good investment if you plan on doing a great deal of riding in the snow. 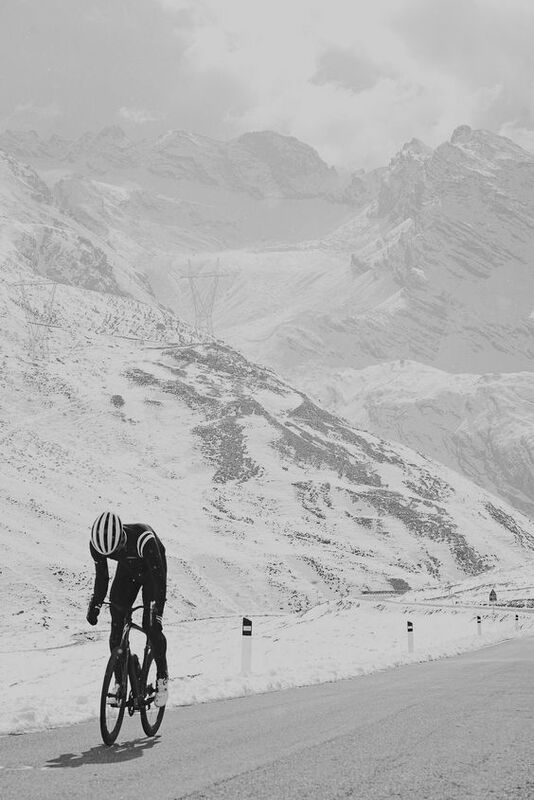 And, as a final note, try not to brake while you turn whenever you’re riding in cold weather. This will almost always result in your back wheel spinning out. My hope is that you found this post interesting and helpful if you plan on doing any outdoor winter cycling. Thank you for following along, as always! Happy cycling.